Sailing dates through October of 2019! 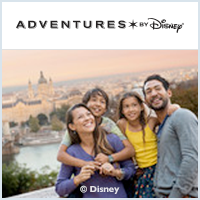 Discover 6 destinations in 4 countries on the all-inclusive Adventures by Disney Rhine River Cruise! Enjoy exclusive sailings with AmaWaterways, a leader in luxury river cruising. 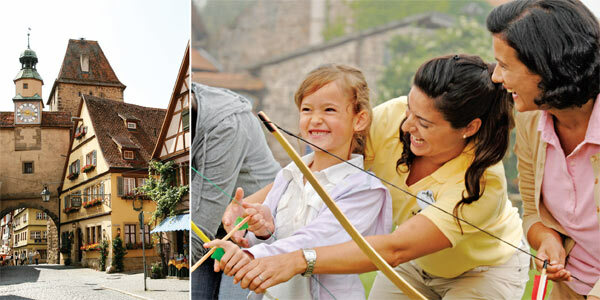 Customize your trip to make each member of your family happy—choosing from a variety of great activities offered at ports along the Rhine River and onboard each day. 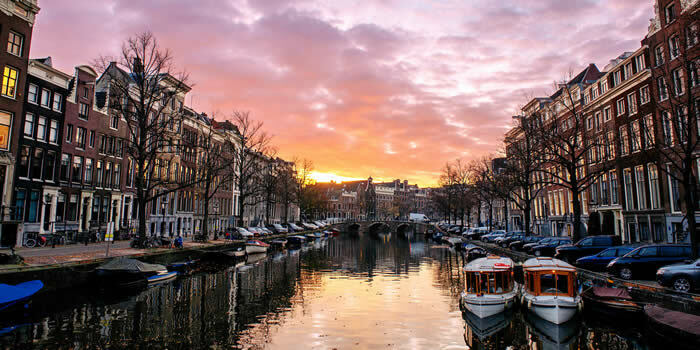 Add a 2-Night/3-Day Short Escape Enhancement and visit Amsterdam in The Netherlands before or after your 2020 Rhine River Cruise. Click HERE for details! Visit Germany's first indoor ski hall—Jever Fun Skihalle in Neuss—and enjoy curling, snow biking and tubing in its remarkable indoor facilities. Outdoors, go ziplining or climbing on a wall measuring 105 feet (32 meters) in height and be challenged by a high rope course. Learn about the history of chocolate at the Chocolate Museum and learn how it's made in a special workshop. Enjoy tasting some delicious chocolate along the way! Be escorted from Basel Airport to your new home for the next 8 days, the luxurious AmaKristina Ship. Your Adventure Guides help with the check-in as you familiarize yourself with your well-appointed stateroom. Look around the ship and discover its many fantastic amenities, such as the heated pool, fitness center, massage and hair salon, giant chessboard, library, sun deck and lounge. Enjoy a taste of Switzerland at a special welcome event that features delicious Swiss fondue! Meet the Captain and your fellow Adventurers as you enjoy your first scrumptious dinner onboard. Enjoy a festive Swiss performance, bringing to life the sounds of the Alps. Tour the Black Forest, Take a Toboggan Run and Visit a Museum with Wood Work Tour the Black Forest and view the beautiful highlands, pastoral farms, grassy fields and woods up close. Thrill to an alpine toboggan run. Attend a museum workshop and learn from an expert how to create wooden components including a cuckoo pipe that's iconic to the Black Forest. Tour the Black Forest, Go Ziplining* and Take a Leisurely Stroll to the Triberg Waterfalls Tour the Black Forest and view the beautiful highlands, pastoral farms, grassy fields and woods up close. Soar above the trees of the Black Forest on the Black Forest zipline. Enjoy a pleasant stroll for an up-close view of Germany's highest waterfalls—the breathtaking Triberg Waterfalls. Enjoy an Excursion to Riquewihr and a Guided Horseback Ride** Discover one of the most beautiful villages in France—the medieval town of Riquewihr—as well as a variety of landscapes in this region, ranging from Alsatian vineyards to the Vosges Mountains. Savor the legendary beauty of the Alsace region on a guided horseback ride. Return to the AmaKristina for a delectable evening meal. Take an Evening Walking Tour of Strasbourg, Visit St. Thomas Church for a Private Organ Concert Enjoy an evening walking tour of Strasbourg and learn more about this exciting city. Enjoy Karaoke Onboard the Ship Delight in karaoke entertainment. * Minimum age is 10 years old, with a minimum weight requirement of 88 lbs. (40 kg) and a maximum weight restriction of 253 lbs. (115 kg). ** Minimum age is 8 years old, with a maximum weight restriction of 220 lbs. (99 kg). Take an Alsace Canoe Trip, Enjoy a Strasbourg Walking Tour and Visit the Strasbourg Cathedral de Notre Dame Take an Alsace canoe trip through the center of old Strasbourg. Visit Strasbourg Cathedral de Notre Dame, built in 1439 in the grand Gothic style, with Renaissance-era stained-glass windows and a famous astronomical clock created in 1843. Take a River Boat Trip, Enjoy a Strasbourg Walking Tour and Visit the Strasbourg Cathedral de Notre Dame Take a Strasbourg city tour on the Batorama River Boat and pass by this city's main attractions—including towers, covered bridges and the Vauban dam—and through this city's various districts such as the renowned Petite France. Savor lunch onboard highlighting Strasbourg's unique cuisine influenced by both the French and German cultures. Refuel to be ready for the afternoon activities! Enjoy the Alsatian Countryside Bike Tour Bike through the fertile wine region and take in the natural splendor of the Alsatian countryside. Take a French Macaron Baking Class Learn how to make delicious French macarons from a respected local chef. Explore the Wine Caves of Cave Historique Des Hospices Discover wine caves in the medieval basements of Cave Historique Des Hospices, a hospital found in 1395. In its wine museum, 40 ancient wine barrels mark the history of the region—one containing wine from 1472. Visit a Beer and Wine Hall in Strasbourg Feel as if you live in Strasbourg by enjoying a festive drink at a local beer and wine hall. Mingle with residents of this lively city and discover the Strasbourg spirit. Enjoy Onboard Entertainment with Karaoke Delight in karaoke entertainment. Porsche Museum and Mercedes-Benz Museum with Beer Garden Lunch Take excursions to the Porsche Museum and Mercedes-Benz Museum and learn the history of these 2 legendary automobile companies. Both museums house a variety of extraordinary cars, offer insights into how the autos were designed and introduce concept cars that might inspire future models. Between museum visits, enjoy lunch at a local beer garden. Tour Heidelberg and the Famous Heidelberg Castle Visit Heidelberg Castle with a costumed guide telling you the fascinating history of this fortress and home of royalty, built in 1614 and considered an important Renaissance structure. Speyer Walking Tour with a Costumed Guide and On Your Own Either Visit the Technik Museum or Bike Ride Around Speyer Take a medieval crime-walking tour with a costumed guide on a special Speyer walking tour. Visit the Crypt at the Speyer Cathedral and the Clock Tower at the west end of Speyer. Visit the Technik Museum, featuring Europe's largest space exhibition, the inner workings of a submarine, the interior of the first jumbo jet and much more. Ride a bike around Speyer and see up-close one of Germany's oldest cities. For those who didn't choose to participate in the full-day activity, enjoy lunch onboard the AmaKristina between your morning and afternoon activities. Return from a fun-filled day for a tasty dinner onboard the AmaKristina. Share stories of your experiences with your fellow Adventurers. Evening Entertainment – Fontanella Spaghetti Ice Cream Tasting & Demonstration Watch the famous Fontanella "spaghetti" ice being made—and then delight in tasting this spectacular ice cream dessert! Created by Dario Fontanella in the 1960s, this scrumptious spaghetti-lookalike is made first by reimagining the pasta. Watch vanilla ice cream as it's pressed through a potato ricer to resemble spaghetti and then placed on a bed of whipped cream, with strawberry sauce poured over it to represent tomato sauce and almonds or shaved white chocolate sprinkled on top to look like parmesan cheese. Delizioso! Rhine Food & Wine River Cruise - This sailing will stop in Mannheim, Germany instead. More details about this port will be announced later. Choose one of the activity options in the morning and one of the options in the afternoon. Bike Tour of the Wine Countryside Beginning at Eberbach Abbey and Siegfried's Mechanical Music Cabinet Museum Take a guided bike tour through the pastoral countryside of the beautiful Rheingau, a distinguished German wine region. Begin your tour of this area at Eberbach Abbey—a large, former monastery with impressive Romanesque and Gothic architecture. Continue your tour at Siegfried's Mechanical Music Cabinet Museum, which contains one of the largest collections of beautiful mechanical music boxes, giant pianos and other automated instruments, dating from the 18th to the 20th century. Rüdesheim Gondola Ride to Niederwald Monument, Tour Siegfried's Mechanical Music Cabinet and Weingut Adolf Störzel Wine Tasting Be thrilled by the Rüdesheim Gondola Ride to Niederwald Monument, a famous Germania monument that offers panoramic views of the old town, wine country and Rhine River. Tour Siegfried's Mechanical Music Cabinet Museum containing one of the largest collections of beautiful mechanical music boxes, giant pianos and other automated instruments, dating from the 18th to the 20th century. Bike Tour of the Wine Countryside Beginning at Eberbach Abbey Take a guided bike tour through the pastoral countryside of the beautiful Rheingau, a distinguished German wine region. The excursion begins at Eberbach Abbey—a large, former monastery with impressive Romanesque and Gothic architecture. Rüdesheim Gondola Ride to Niederwald Monument, Weingut Adolf Störzel Wine Tasting Be thrilled by the Rüdesheim Gondola Ride to Niederwald Monument, a famous Germania monument that offers panoramic views of the old town, wine country and Rhine River. If time permits, experience more adventures at your own leisure. Alsatian Countryside Bike Tour Enjoy a 3-hour biking tour highlighting the natural history of the Alsace region. A local guide will share the historic influence that this border region had over both France and Germany. Biking Around Rüdesheim Enjoy biking on your own through the quaint town of Rüdesheim and the surrounding wine country that is the birthplace of acclaimed pinot noir and Riesling wines. Coffee-Tasting at Rüdesheimer Schloss Explore Rüdesheim and stop to savor a cup of the famous local coffee: Rüdesheimer Schloss Kaffe. Iconic Castle Cruise Through the Rhine Gorge Behold 22 castles in all their magnificence! Sail through the Rhine Gorge, with the AmaKristina's Cruise Manager commenting on the castles' fascinating history and offering insights about the area. Declared a UNESCO World Heritage, the beautiful Upper Middle Rhine Valley along the shoreline is splendid to behold. Also, participate in a Rüdesheimer coffee demonstration and tasting on the sun deck. If you're in the mood, take a guided bike ride with your Adventure Guides. Ride alongside the Rhine River and across the Hohenzollern Bridge. 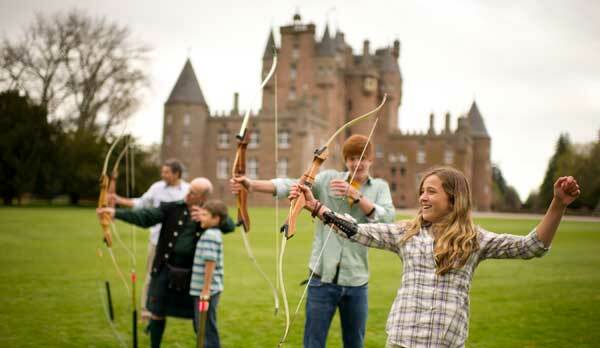 Choose either a full day of activities or choose one of the half-day options. Indoor Winter-Themed Park Visit Jever Fun Skihalle in Neuss to experience winter park games and outdoor fun. Go curling, snow biking, tubing, ziplining and take the ropes course. Cologne Walking Tour, Private Tour of Cologne Cathedral and Eau de Cologne Workshop Take a Cologne walking tour and explore this incredible 2,000-year old city, restored with Gothic architecture and abounding with churches, museums and galleries. Enjoy a privately guided tour with local experts of the famous Cologne Cathedral, designated a World Heritage Site. Attend the Cologne Workshop at House 4711*, and see how traditional German eau de cologne is made. Cologne Walking Tour, Private Tour of Cologne Cathedral and Chocolate-Making Class** Take a Cologne walking tour and explore this incredible 2,000-year old city, restored with Gothic architecture and abounding with churches, museums and galleries. Discover how chocolate is made when you attend a special chocolate workshop. Chocolate Museum Visit & Tasting Learn about the history and culture of chocolate at the Chocolate Museum—and enjoy tasting some amazing chocolate! Cologne Pub Tour Take the Cologne Pub Tour and explore the fine beers of the region. As you cruise towards Amsterdam, savor a delectable dinner onboard. See how well you shine in a trivia game—take on all challengers! Tour the Anne Frank House Tour the Anne Frank House, with its museum and famous attic where 2 Jewish families and a single man hid from the Nazis during World War II, as told in the deeply moving diary of one of the family members, teenager Anne Frank. Discover History at the Rijksmuseum* Discover the art and history of Amsterdam in The Rijksmuseum. This national museum displays nearly 8,000 pieces of art dating from the 9th to 19th centuries. Housed in over 150 rooms in an impressive, gold-leaf building, magnificent fifteenth 15th to 17th century paintings are on display—masterpieces by Rembrandt, Vermeer, among others. It also houses some outstanding 19th century works as well as a remarkable Asian collection. Visit the Van Gogh Museum and Paint Workshop* Explore The Van Gogh Museum with over 1,000 paintings, drawings and letters of Vincent Van Gogh. This museum contains the largest collection of Van Gogh paintings in the world. Learn about Van Gogh's personal history, how conservators restored his paintings and more. Get an intimate view of some of his greatest masterpieces, including "Sunflowers" and "The Bedroom," as well as many works of his contemporaries. Then, express yourself in a painting workshop designed to bring out the artist in you! Visit a Fishing Village, See the Sights in Zaanse Schans and Participate in Clog-Decorating and See a Cheese-Making Demonstration Tour the classic fishing village of Volendam, located near IJsselmeer Lake just outside of Amsterdam. With its beautiful harbor home to old fishing boats and residents who still wear traditional clothing such as pointed bonnets, it represents traditional life in The Netherlands. Visit the Royal Delft Earthenware Factory Tour the Royal Delft Earthenware Factory, which has become an artistic landmark. Founded in 1653, it creates the most famous Dutch pottery in the world. Meet the master painter, who paints the renowned blue artwork on the vases, plates and tiles. See the production process in action. View historical pieces and a Royal Delft tile version of "The Nightwatch," the painting by the famous Dutch master Rembrandt van Rijn. Afterward, participate in a workshop where you too can paint a design in blue! Join the Captain onboard the AmaKristina for one last cocktail party and scrumptious dinner. Say farewell to him and your fellow Adventurers and share the experiences you encountered on this magical adventure. The night bursts into music and dance! Delight to a performance by traditional Dutch folk dancers—providing another unforgettable memory of the time you shared with your family and newfound friends on the Rhine River Cruise! * Minimum age is 6 years old. Get assistance with your luggage and be escorted to your next stop to the Amsterdam Airport Schipol (AMS).